ZIMBABWE – Catch the live cricket score and ball by ball commentary of Bangladesh vs Zimbabwe 1st One-Day International (ODI) at Shere Bangla National Stadium, Dhaka on Saturday. You can catch the live score and ball by ball commentary of BAN vs ZIM 1st ODI here while on the go. Zimbabwe won the toss and elected to bat first against Bangladesh in the 1st ODI. The home team lost two wickets early on and were reduced to 30 for two inside nine overs. Litton Das and Mahmudullah were the two batsmen dismissed. Das was removed for six-ball duck. Zimbabwe and Bangladesh are currently locked in three-match ODI series and then will play two T20Is as well. 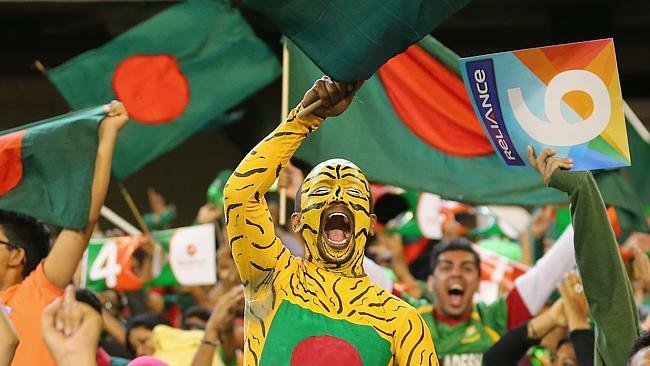 Bangladesh has been in good form this year defeating Pakistan, India and South Africa at home. On the other hand Zimbabwe have had a dejected year and recently lost to Afghanistan. The African nation was defeated by minnows Afghanistan in both the ODI and T20 series. The team will now be hoping to dish out some strong performance on the Bangladesh tour. Bangladesh: Tamim Iqbal, Litton Das, Mahmudullah, Shakib Al Hasan, Mushfiqur Rahim, Sabbir Rahman, Nasir Hossain, Mashrafe Mortaza, Arafat Sunny, Mustafizur Rahman, Al-Amin Hossain. Zimbabwe: Chamu Chibhabha, Richmond Mutumbami, Craig Ervine, Sean Williams, Sikandar Raza, Elton Chigumbura, Luke Jongwe, Graeme Cremer, Tinashe Panyangara, Taurai Muzarabani, Malcolm Waller.